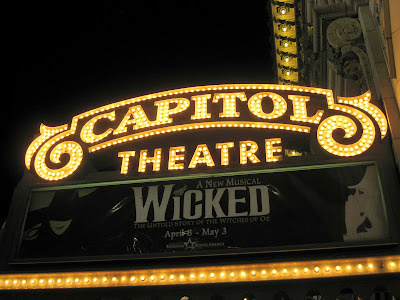 As many of you many know, Wicked has come to Utah for the first time. (Did you know it's going to Denver for the third time this fall?) Anyway, we were lucky enough to get tickets. (Thank you Grandma Janet!) We've been looking forward to this night for many many months. It was my folks, Scott's folks and us out for a night to remember. I have had a copy of the soundtrack for quite some time, although missing several of the songs and many of the songs that I do have skip. But, that's beside the point. I had listened to it once before the show and thought, "Hmm, it sounds cool but I have no idea the plot" so I put the soundtrack away (didn't load it to my ipod playlist) and figured I'd wait to listen to it more after the show. Now that I've seen the show, I can't get the songs out of my head and listen to it frequently. So much so that my girls are learning the songs. Of course I'd heard amazing things about the production and knew it had to do with the Wicked Witch of the West, but that was all that I knew. Let's just say, I loved EVERY minute of the show and didn't want it to end. I'm already trying to figure out when i can see it again. The set was fantastic and the costumes were to die for. Honestly, each dress had to cost a fortune and each ensemble player had at least 4 costume changes. Each costume was unique and elaborate. The singing was amazing. 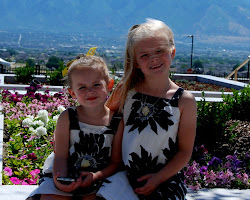 The girl that played Elphaba in Salt Lake, was the original "young Cosette" on Broadway when she was 8. Her voice was powerful and haunting. Glinda, had a very strong beautiful voice and she did a fantastic job being "popular" and "blond". The part of the production that hit me the hardest was the great dancing. The choreography was captivating and made me wish I was 17 years younger being given the same choices I was given when I was 20. Although, I have to say, if Wicked would have been around back then, I am not sure I would have made the same choice I did. It wasn't the most technical dancing but it was beautiful and truly helped build the story. 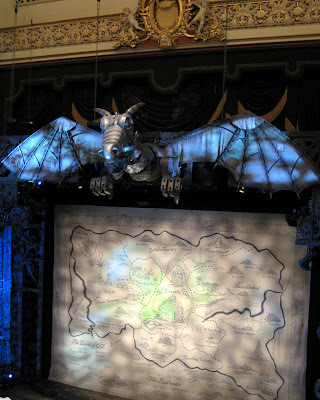 I LOVED Wicked. Is it my favorite show I've ever seen? Possibly. (Although Chicago with Bebe Neuwirth, Lion King and Les Mis definitely rank up there). Anxiously looking forward to seeing it again! I'm so jealous! I have wanted to see this forever!! For some reason I don't think Lexington will ever be on the list of cities it comes too.... one day! I've really been wanting to see this play! It was so great to see you and your cute family last week! Thank you for having us over. I wish we lived closer so we could get together more often. I'm downloading Picasa now. Thanks for the tip. I LOVED IT TOO! 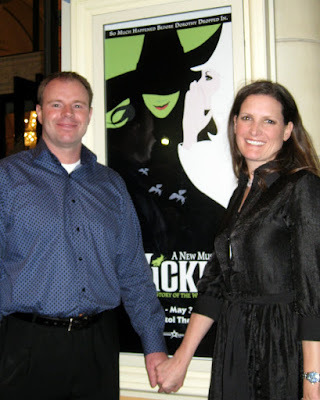 Although we got the understudy Elphaba, she was excellent too! I'm so glad you got to go too!